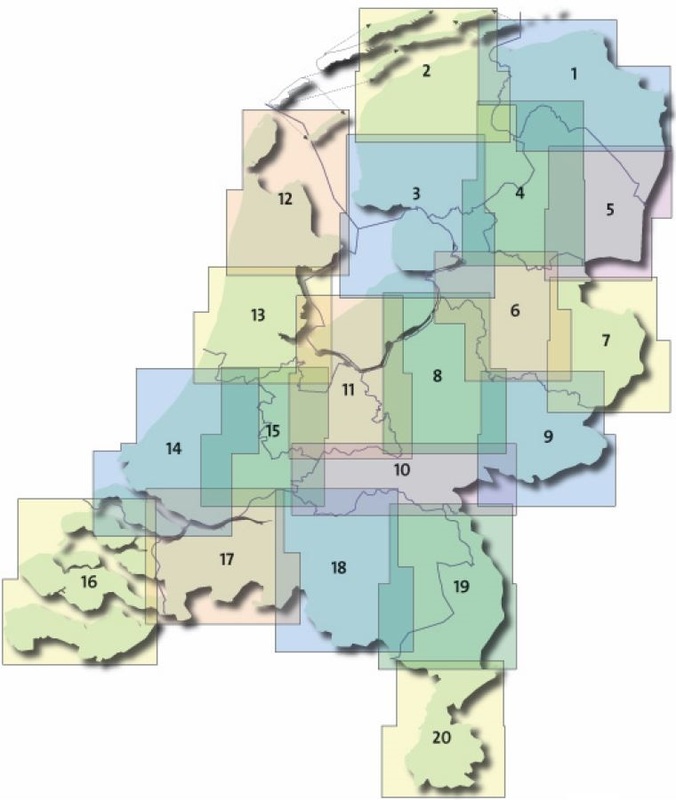 The Netherlands have an extensive network of marked bike routes, including the LF long-distance cycle paths. Numbered junctions on the road side combined with marked trails make the route easy to follow for the cyclist. Twenty large, double-sided maps show an exceptionally clear and informative cartography. 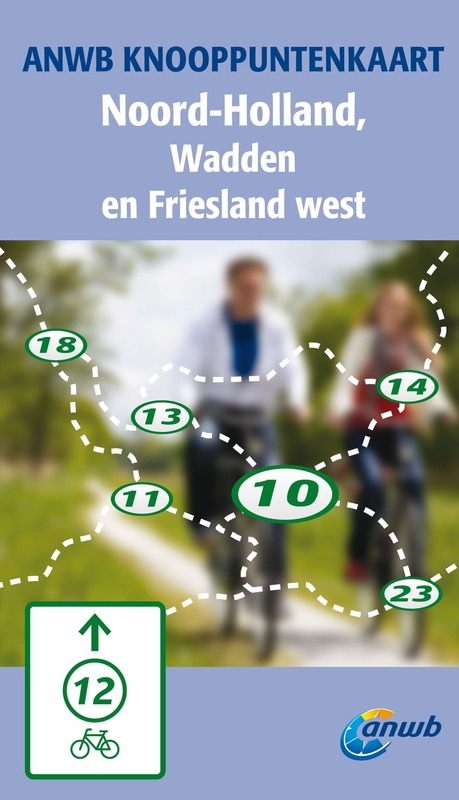 Detailed map that shows everything you need for an enjoyable ride: - all paved roads - all unpaved tracks - LF routes for multi-day bike tours, - "paddenstoel" numbers (low level milestones for bikers with mile/km markers and the directions to nearest villages or towns). Also indicated on the map are street names, bicycle rental shops and bike ferries. This is complemented with tourist information: museums, campsites, historic sights, castles and much more. The map shows all junctions in the region at a glance. 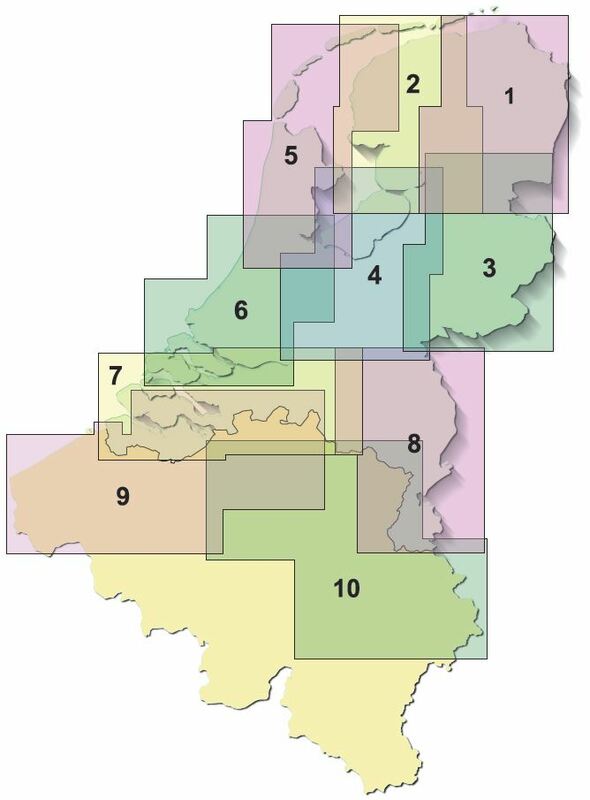 A series of 10 maps, that completely cover the Netherlands in addition to a large part of Belgium. The maps are designed for cyclists who purely cycle from junction to junction and don't want to get distracted by points of interest or landscape details. The scale of 1: 100,000 provides sufficient detail for orientation and a map that is large enough for kilometers of cycling pleasure on one sheet. Due to the large and clear junctions, the maps are easy to use, even during cycling.